Formal bespoke pencil skirts with flat fronts, back zippers and center vents on the back. Custom made with cashmere, these tailor made black office skirts are super soft and comfortable. 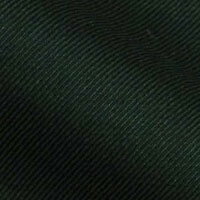 Description: This Super 110s English Virgin Cashmere fabric by Scott and England is available in rare shades of olives, blues, blacks, and khaki. Dripping class and style, this 8 oz lightweight solid fabric keeps you fashionable during summers, spring, and autumn. You can transform your colorless wardrobes by wearing outfits made of this fabric like waistcoats, double breasted suits or custom suits for men and custom made skirts, skirt suits or pant suits for women.